Are you a Tea Lover? 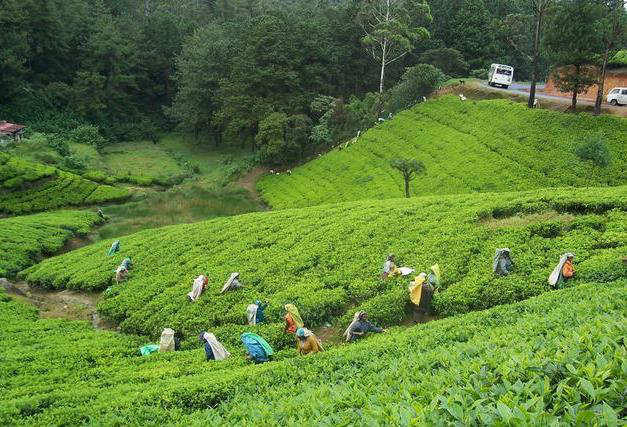 If yes, then visiting tea plantations in India could be one of the reasons to plan your holidays in India. While on such trip, you can explore tea factories and spend a few days at a tea estate of your choice. India has a huge history of cultivating and brewing tea in India. The use of tea was first documented in the holy scripture Ramayana, written between 750 and 500 B.C.. However, after the arrival of the British East India Company, all that has changed. Soon a large chunk of land became tea farms for production and export. 70% of India’s harvest stays inside the country for consumption and the rest becomes export. Darjeeling Tea grows only in India. The Tea Board of India currently controls the entire contemporary process of producing, certifying and exporting tea. 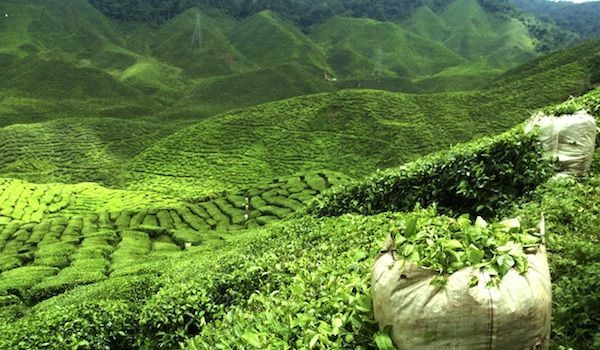 Read the top 10 list of ‘Best Tea Plantations in India’ for your kind perusal. 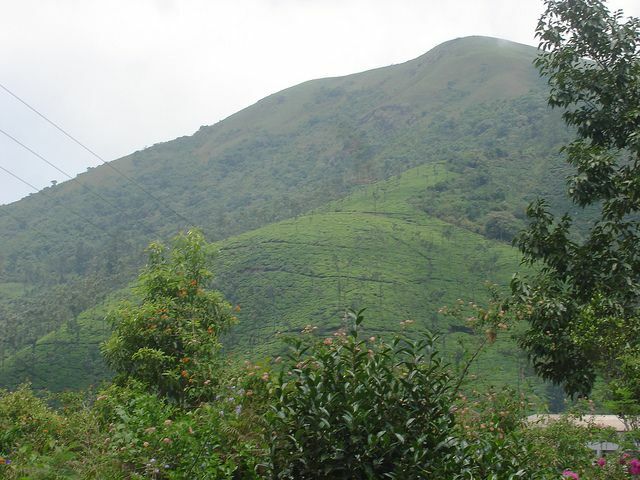 Located in the Idukki district in the Indian state of Kerala, Kanan Devan Hills was given on lease to John Daniel Munroe on 11th July, 1877 for tea & coffee plantation. Today Kanan Devi Hills is a great spot. In 1888, the Kanan Devan Planters Association was formed. However, by early 1890’s, the struggling Association caught the attention of Sir John Muir, Chairman of Finlay Muir & Company, who owned tea estates in Sri Lanka, Bengal and Kenya. 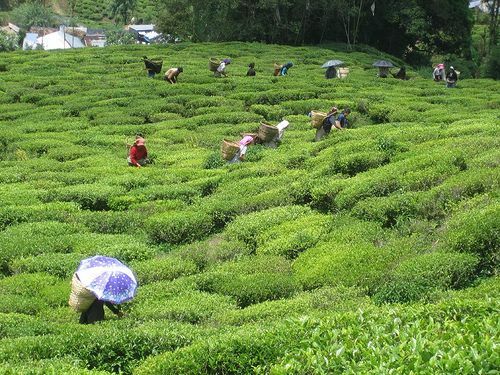 Having been discovered and noted as a key tourist destination, it attracts a lot of tourist who are mesmerized by its manicured tea gardens and unique bio-diversity. Every year, thousands of tourists, visit Munnar for sightseeing must make a visit to the country’s first ever tea museum. The aim of this Tea Museum is to depict the growth of this more-than-a-century old tea plantation, from the rudimentary tea roller to the fully automated tea factory at Madupatty. Glenburn Tea Estate is a 1,600 acres plantation estate, located exclusively from Darjeeling offering breathtaking views from the Kanchenjunga Mountain Range. It is an hour’s drive from Darjeeling. The main house is a restored tea planter’s bungalow with 8 attractive & well-equipped suites and a romantic Verandah offering exquisite views of the Himalayas. 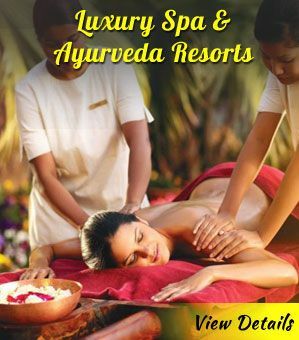 These suites are categorized as Kanchenjunga Suite, Planter’s Suite, Rose Suite, Simbong Butterfly Suite, Camelia Suite, Rungeet Suite, Rung Dung Suite and Singalila Suite. It is designed with Victorian Teak wood furniture and offers breathtaking views of the Kanchenjunga Mountain range. 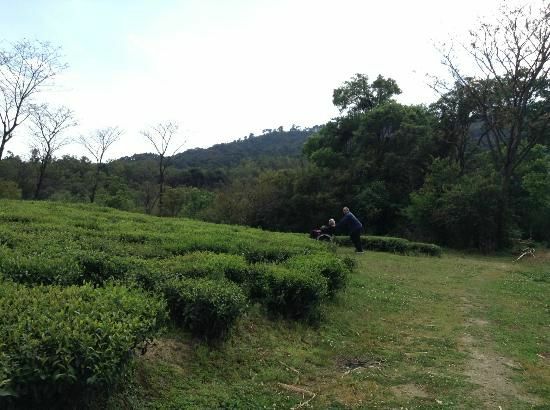 For an amazing experience check-out Glenburn Tea Estate Tour Packages. The mountainous Nilgiri district of Tamil Nadu, in South India, is famous for its uniquely dark and strongly aromatic tea. In fact, some of the finest tea plantations in India are located in the Nilgiri Hills region in the Western Ghats which is also home to some of the finest hill stations in India. Tea has been growing here for more than 100 years and is the most important industry in the region. The tea estates in Nilgiri produce tea that is mild in taste with mellow and clean liquor. 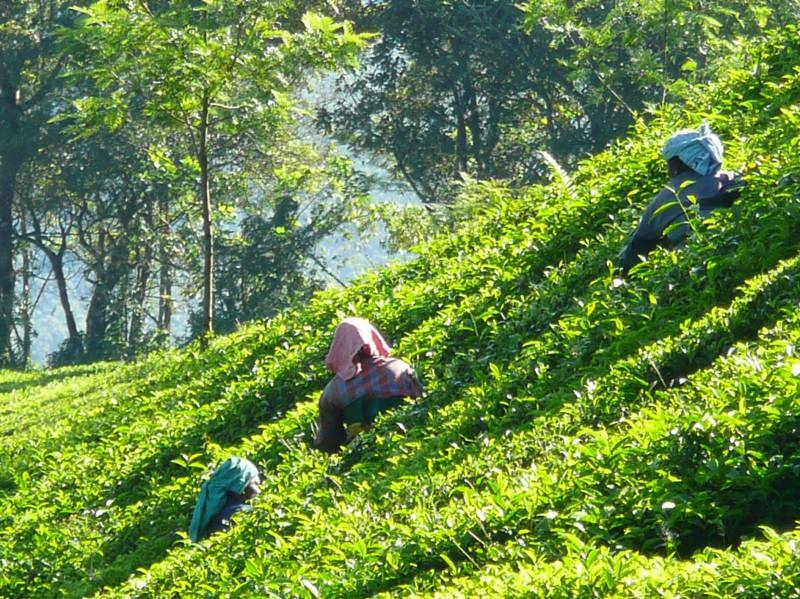 Unlike Assam and Darjeeling where tea grows, but seasonally, tea in the Nilgiri region grows all throughout the year. Tea produced by the tea estates in Nilgiri offers a fine and distinct look. There are several estates in the Nilgiri region such as the Kodanad Estate, High field Tea Factory, Lockhart Tea Estate, Vigneshwar Estate Tea Factory and Glendale Tea Estate. 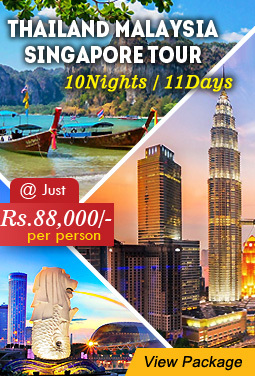 Check out this Southern Tea Estate Tour package to plan your tea tour in South India. Located in the heart of the Gatoonga Tea Estate, Banyan Grove is a heritage bungalow in Johrat, Assam. With a history over 100 years, The Bungalow exhibits a fine blend of colonial décor and sylvan flooring. It houses a total of 7 spacious bedrooms, each equipped with a fireplace, a dining room, a common sitting room and an attached kitchen. The floor and compound area of this bungalow is more than 90,000 square feet and 2 hectares respectively. View details and plan your stay at Banyan Grove heritage hotel in Assam. Established in 1854, Happy Valley Tea Estate is the oldest tea estate in Darjeeling. It is spread over 437 acres and is situated at a height of 6,800 feet above sea level, 3 kilometers north of Darjeeling and deputes more than 1500 people. The estate was established in 1854 making it the oldest tea estate of Darjeeling. There are some points, on the way, from where the mountain vistas are simply stunning. The original owner of this estate, David Wilson in 1903, an English man, originally established the estate in the year 1854. At the entrance of the factory, there is a board that still shows the year of the original establishment along with the name of the estate. 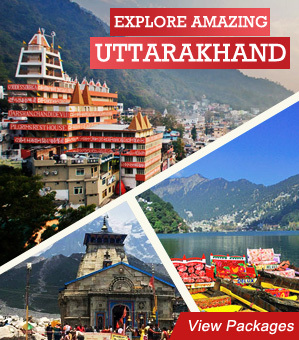 Get more information on how to reach and attractions in Darjeeling. 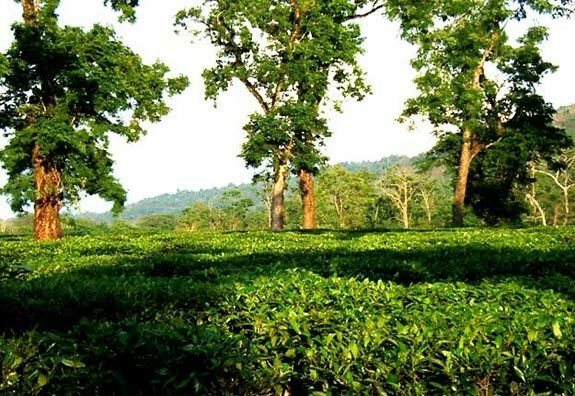 Located in the remotest region of North-East India, Assam is the largest tea producing region in the country. Malty Assamese tea is mostly grown in the Brahmaputra Valley and is often brightly colored. Nestled in the central part of the valley, Jorhat is often referred to as the ‘Tea Capital of the World’. It is the tea country of Assam and offers the best accommodation options. The colonial tea planter’s bungalows have been lovingly restored and offer relaxed & serene vacations in unbeatable locations. Dating back over 150 years and one of the best tea plantations in India, Darang Tea Estate is a family-owned estate and has a pastoral charm preserved over the years. It is a 70 acre tea estate and houses 4 cozy cottages, each one offering breathtaking views of the snow-capped Dhauladhar range of the Himalayas. Here, guests get to experience the comforts of a home stay and the seclusion of an exclusive resort at a single place. There are several options of hiking, swimming and fishing through this 70 acre of tea gardens. Furthermore, there are several options for sightseeing nearby Darang Tea Estate such as The Kangra Fort, Triund and Mcleodganj. Built in the 1930’s, the Kolukkumalai Tea Estate is a two-storied building perched at a height of 7,900 feet above sea level. Here you can enjoy the excellent views of the distant plains in the state of Tamil Nadu. 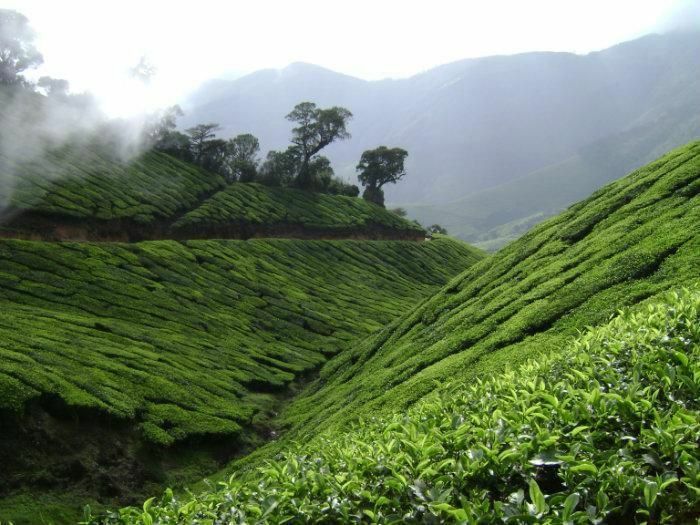 It is the highest reputed tea estate and is around 8,000 feet above the sea level. This estate is well-known for producing excellent flavorsome teas. Around 70 years back, the tea factory was established in the middle of the estate. It still uses traditional techniques and serves as a major tourist attraction for tea connoisseurs. Spanned across 1,500 acres, the Kelagur Tea Estate is the world’s highest grown Orthodox Tea Estate. The process of tea making has been certified as organic. There is a factory located in the middle of the estate and was built 70 years ago. It uses traditional techniques and is a major attraction for tea enthusiasts. The seven step process of tea-making involves rolling, withering, fermenting, drying, sieving, grading and fiber extraction. 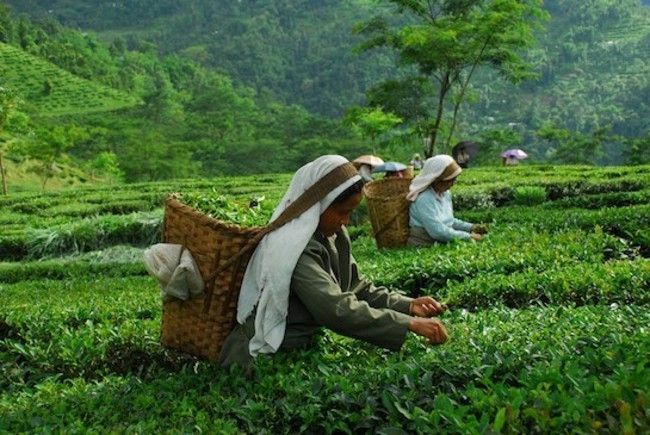 Located at the foothills of the Darjeeling Hills, The Cooch Behar plays host to 30,000 small tea growers in North Bengal and attracts people from all over the world. Established in the year 1950, Coochbehar Tea Corporation Limited offers the most effective and qualitative range of products to our esteemed clients. 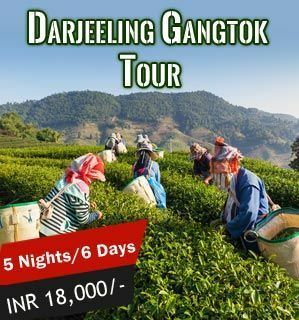 Check out this Darjeeling Tea Estate to plan your tea tour in North East India Tour Packages. Indian Holiday Pvt. 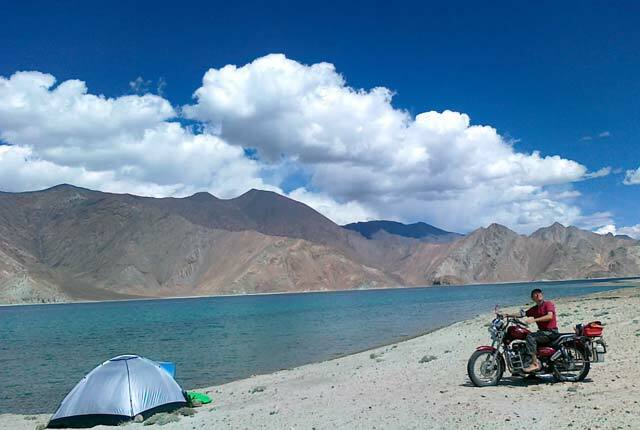 Ltd. (IHPL) is a 2 time National Tourism Award winning destination management company based in Delhi. 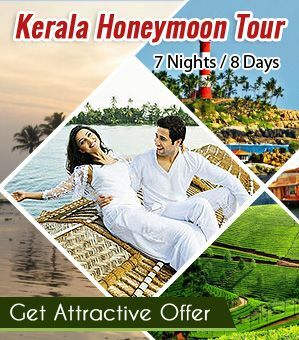 This travel blog is an initiative to inform the visitors about all aspects of India that include her history, heritage, culture and tourist attractions and destinations. 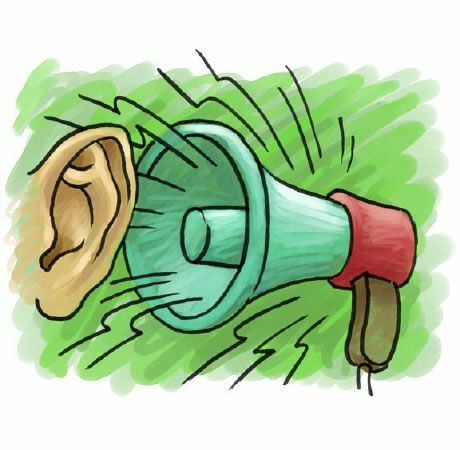 This information is very Helpful with a great variety of list. 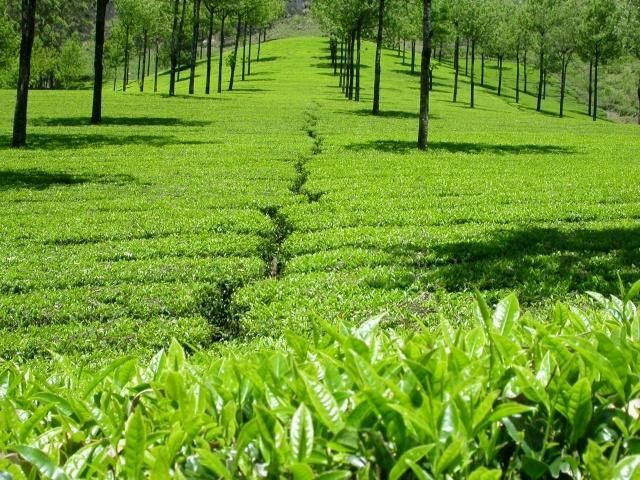 Great list of tea gardens and estates in India.Thanks for sharing !! 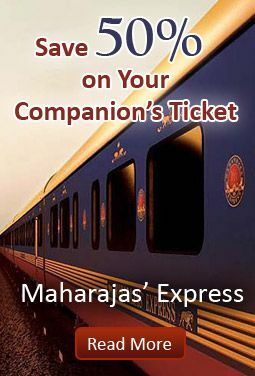 it is too helpful and has good knowledge of tea tourism. thanks i also visited the nilgiri. Great posy, Indian Holiday. I have been seriously considering the The Cooch Behar Tea Estate tour in West Bengal. 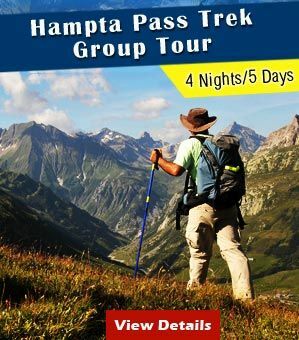 What would you say would be the best time of year to do such a trip?